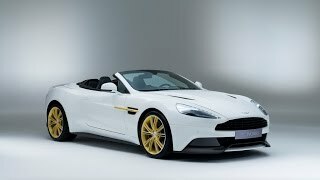 Upon completion of six decades of official service and restoration division of Aston Martin, company decided to celebrate the anniversary and this gave birth to this beautiful Aston Martin Works 60th Anniversary Edition 2015. The model will be a limited Edition of six pieces listing the classics from time. Beginning with DB2/4 Mk II Saloon till the most recent original Vanquish. Let us know more about the release to be presented either in Coupe or Volante Models. The interior of Aston Martin Works 60th Anniversary Edition 2015 is the main attraction. Interior is drenched in black cockpit with yellow stitching adding the contrast across including the carbon-fiber weave giving finish to center console. The Interior holds distinct sill plates briefing the era, model relates to and an AMW 60th Anniversary Logo between the two rear seats stealing the eye balls. The exterior of Aston Martin Works 60th Anniversary Limited Edition 2015 comes in white with highlights added by yellow. Not much of special features and unique work has been added to the exterior apart from the two-tone alloy wheels which commendably proves the importance of model and the side vents holding the ‘Anniversary Yellow’ contrast. 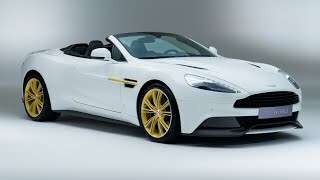 Powered by a 6.0 Liter V12 Engine the Aston Martin Works 60th Anniversary Edition 2015 the ‘gentle hurricane’ will enthrall the streets by 568 horsepower and 629 nm torque mated to all new Touchtronic III, eight speed automatic transmission developed by ZF. With these specs the Aston Martin Vanquish Limited Edition 2015 is capable of reaching a top speed of 201 mph and can cover the 0-60 mph sprint in just 3.6 seconds. Since decades Aston Martin has very well maintained its Luxury image and when such a brand comes with a Limited-Edition the model has to be spectacular. Each of the six models will be coming in a unique way, using an old part to adore this new release with more respect and to ad to blend the owner will be well aware of the model and year through the sill plate. 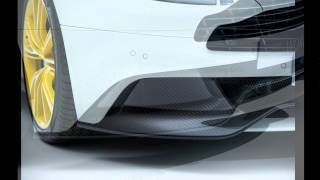 This particular from Aston Martin Works is definitely a new step and it’s tough to imagine the same from some other manufacturer in these coming years. But what makes it little behind is, no addition to power output and also the already too expensive Aston Martin, looking at previous prizes counting the price of this model makes it too expensive. 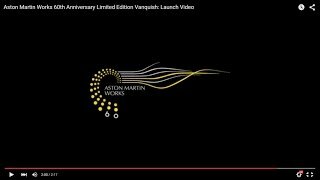 To conclude we would say, model is the Aston Martin Works 60th Anniversary Edition 2015, 6 models are definitely unique and catchy but about the Aston Martin intentions with the prices and policies, we are clueless.